The hollows here are historic 'clay pits'. Nutrient-rich soil known as ‘Marl’ was extracted from here and spread on the adjacent fields as fertiliser. The steep bank which separates Joy's Wood from Moseley Bog represents the edge of the landfilled area. You can clearly see pieces of brick and concrete. These are the remains of buildings brought here from elsewhere in Birmingham. Straddling the Coldbath Brook are two 'burnt mounds'. These Scheduled Ancient Monuments date from around 3,000 years ago and are made up of large piles of cracked stones and charcoal. It is thought that these stones were heated on a fire and had water poured on them to create steam for sauna-type bathing. This would have been done in a structure made from wooden poles covered with animal skins known as a 'bender'. Similar structures are known to have been used all over the world as a means of cleansing, as spiritual centres, as places to hold meetings and for healing. In the late 19th and early 20th Centuries large suburban houses with long gardens were built along Wake Green Road. These only stood for a few decades and later in the 20th Century were replaced by St. Bernard's school and new housing. The lower-lying ends of the long gardens were, however, left undeveloped, and these now form part of the woodland of Moseley Bog. There are clear remnants of the gardens including walls, the foundations of a glass house, hedgerows with boundary trees and a number of garden plants of species that were popular at the time. The pond started life as part of a quarry for the dam of the ‘Great Pool’ and later became an ornamental pond in the garden of a now demolished house called Mel Valley. A short walk east from Moseley Bog stands Sarehole Mill, first documented in 1542 as belonging to the priory at Maxstoke, nine miles away in modern-day north Warwickshire. To ensure a reliable supply of water for the mill a holding pool was created at the site of Moseley Bog by damming the Coldbath Brook. With the advent of steam-driven pumps in the middle of the 19th century it was no longer necessary to keep a holding pool, and when the dam was in need of repair the decision was made to break the sluice and allow the pool to drain. Due to the difficult wet conditions the site wasn’t reused and was left to ‘tumble-down’ to woodland. The dam remains intact today and forms an impressive and clearly visible archaeological feature. Burnt mounds provide evidence of people's presence in Moseley Bog dating back to the Bronze Age. This was when the prehistoric ‘wild wood’ was first impacted upon by man. The key archaeological feature of the site are the two Bronze age burnt mounds which were designated as a scheduled ancient monument in 2002. By the time of Domesday in 1086 much of the woodland had been cleared and replaced with arable fields, meadows and pastures. The Mill was the secondary pool to Sarehole Mill. The Cold Bath Brook which runs through the nature reserve still continues to feed Sarehole Mill. In the 16th century a large mill pool was constructed in Moseley Bog. This was allowed to drain in the 19th century and the woodland began to return. The expansion of suburban Birmingham at the beginning of the 20th century saw the area around Moseley Bog begin to lose its rural character. By the 1950s all that was left of the area’s agricultural past were archaeological remains. In the 1960s the upper area of the reserve, now known as Joy’s Wood, was landfilled and converted into playing fields. The steep bank which separates Joy’s Wood from Moseley Bog represents the edge of the landfilled area. You can clearly see pieces of brick and concrete, remnants of demolished Birmingham slum areas. In the 1980s the playing fields were planted with blocks of woodland and the whole area was declared a Local Nature Reserve. It is well known that J.R.R. Tolkien, author of ‘The Hobbit’ and ‘The Lord of the Rings’, spent his youth in Birmingham, and for four years at the end of the 19th century he lived with his mother and brother on Wake Green Road, a short walk from Moseley Bog & Joy’s Wood Local Nature Reserve. The scene at Sarehole in Tolkien’s time was depicted by local historian John Morris Jones: "The rural peace is broken only by birdsong, the cackle of hens, the occasional bellow from a discontented cow, or the sound of a shotgun. There are game-birds, rabbits and hares in plenty. The Cole is clear and well-stocked with fish, as are the millponds. Poachers still operate on dark nights, ignoring notices they cannot read. The air is fresh, for the westerly wind blows away the smoke from the reeking town four miles away in the next county." The spirit of Tolkien and of the area that he loved is celebrated annually at Middle-Earth Weekend, an event which draws visitors from all parts of the UK and beyond with drama presentations, walks, traditional craft demonstrations, and stalls selling everything from handicrafts to plants to haute cuisine. The Wildlife Trust also has a regular programme of cultural, artistic and educational events in the reserve. Moseley Bog & Joy’s Wood continues to inspire people today and is used by local drama, music and re-enactment groups. The poet and Wildlife Trust ambassador Benjamin Zephaniah, who grew up locally, uses the reserve and voices our Moseley Bog pod-cast. It's believed that Moseley Bog is one of the inspirations for the forests of Tolkien’s Middle-earth. As a child Tolkien liked to draw, with trees being one of his favourite subjects: 'He would draw a tree, then would climb the tree and talk to it' (David R. Collins, J.R.R. Tolkien). The Wildlife Trust has a regular programme of cultural, artistic and educational events taking place at Moseley Bog & Joy’s Wood. Get in touch to find out more. The burnt mounds in Moseley Bog are thought to be evidence of cultural events which took place 3,000 years ago! The mounds are the leftovers from sweat lodges which were like a modern day sauna, where water was doused over hot stones to create steam. Sweat lodges have been used as a means of cleansing, as spiritual centres, as meeting places and for healing. The village of Hobbiton with its mill and river, which features in both ‘The Hobbit’ and ‘Lord of the Rings’, is recognisable as Sarehole, a short walk east from the reserve. The area that we call Moseley Bog & Joy’s Wood Nature Reserve was subjected to many abuses in the 20th century, but today the site is a haven for wildlife, enjoyed and cared for by local people. Local volunteers and Wildlife Trust staff are working to ensure that, although the valley’s character has been changed by human activity, it survives and prospers for the benefit of nature and people into the future. It seems unthinkable now, but in 1980 plans were announced to build 22 houses in the reserve. This sparked a ‘Save Our Bog’ campaign led by local resident Joy Fifer, which culminated in 1986 with the City Council putting a stop to the development by purchasing a section of the land. The local community and volunteers are crucial to our work in safeguarding natural areas. As a trust we invest in our volunteers so they are well equipped to help support sites through practical management, community events, fundraising and membership. Meadows are grass-dominated areas of land that are traditionally cut for hay and sometimes grazed by livestock over the winter months. Once awash with wildflowers and alive with insects, our meadows have been drained, damaged and destroyed as a result of modern agricultural practices: more than 95% of our wildflower meadows have been lost in recent years. Without care, those meadows that are left can quickly become overgrown, shading out delicate wildflowers. The Wildlife Trust is using traditional methods to manage the open spaces of Joy's Wood as meadow. This will encourage wildlife and a greater diversity of wildflowers. Moseley Bog contains an area of rare fen vegetation which is known locally as ‘The Bog’. Fens are areas of waterlogged ground which support a wide variety of plants and animals adapted to live in damp conditions. Whereas bogs, swamps and marshes are fed by rainwater, or water draining from the land (known as ‘run-off’), fens are usually fed by water rising from below ground. To prevent the fen and its special wildlife being lost to woodland the Wildlife Trust regularly remove colonising trees. The Wildlife Trusts manage many woodland nature reserves sympathetically for a range of spring flowers, from showy bluebells to delicate yellow pimpernel, interesting ferns to pretty primroses. A mix of coppicing, scrub-cutting and ride maintenance open up the woodland floor to the sun, helping many flowers and plants to thrive. You can help too: volunteer at Moseley Bog & Joy’s Wood Nature Reserve and you could be involved in everything from traditional forest crafts to raising awareness about woodland wildlife. Joy’s Wood is the youngest part of the reserve with a very different history to Moseley Bog. The area is ‘made ground’ which was created when huge amounts of waste material were dumped in the natural valley of the Coldbath Brook. Despite this difficult history the area today is a haven of created grassland and woodland which supports numerous plants and animals. 100 years ago the site was a part of the valley of the Coldbath Brook, which has its source in modern-day King’s Heath and flows east into the River Cole at Sarehole. The brook supplied water to the mill at Sarehole, and also to a mill called Lady Mill, located opposite the present-day entrance to the reserve on Yardley Wood Road. The land was purchased by Birmingham City Council in 1935, and over the decades that followed it was filled with an assortment of materials, including building rubble arising from the clearance of city slums. The Coldbath Brook was hidden in an underground pipe which still emerges at the foot of the steps descending from Joy’s Wood into Moseley Bog. In the 1960s the land was ‘capped’ and used as playing fields. However, poor drainage and the occasional tendency for a protruding brick to interfere with the sliding tackle of the eager footballer made the area inappropriate for this use. In 1980 plans were announced to build 22 detached houses on land in Moseley Bog. This sparked a ‘Save Our Bog’ campaign led by local resident Joy Fifer, which culminated in 1986 with the City Council preventing the development by purchasing a section of the land. In the following year volunteers planted native trees and shrubs on the former playing fields: Joy’s Wood was born! In 1999 the area of meadow, hedgerow and woodland which had briefly been playing fields was named Joy’s Wood after Joy Fifer, in recognition of her vital role in saving the reserve from development. Joy was awarded the MBE in 2001 in recognition of her services to nature conservation. The blocks of young woodland in Joy’s Wood were planted by local residents in the late 1980s. With the help of the Moseley Bog volunteers the Wildlife Trust are improving these for wildlife by adding wildflower seeds collected from Moseley Bog and by managing the trees using traditional techniques. The Performance Area makes a perfect outdoor classroom, performance space or informal meeting area. In 1984 the first ever International Dawn Chorus Day was held in the reserve and broadcast live around the world on the BBC World Service. Visit the site at different times of the day and year to see the wonderful variety of birds, including goldfinch, jay, tree-creeper, tawny owl and many more. The created grasslands of Joy’s Wood are managed in the same way as traditional countryside meadows. This benefits wildflowers and the insects that feed upon them. The Wildlife Trust periodically carries out ‘diversification’ of the grassland when we add new plant species. The campaign to save Moseley Bog inspired local conservationists to found the Urban Wildlife Group. 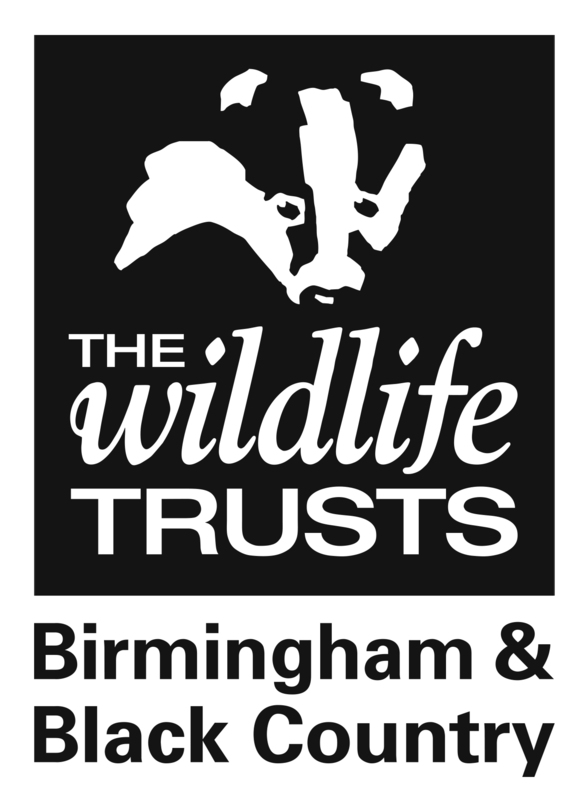 Years later this became The Wildlife Trust for Birmingham & the Black Country, the first Wildlife Trust in the country to serve a wholly urban area. Moseley Bog is the oldest part of the reserve with a very different history to Joy’s Wood. The area is a surviving piece of a landscape which has now mostly gone from this part of Birmingham, and there are many species and historic features which tell its story. The main watercourse in the Bog is the Coldbath Brook, in earlier times known as the Bulley Brook, which rises near the top of Cambridge Road in King’s Heath, and flows east for one and a half miles before entering the River Cole near Sarehole Mill (via the mill pool). Surprisingly it isn’t the Coldbath Brook that makes Moseley Bog so wet, the water actually comes from the numerous springs which emerge from the ground in the north of the site. Much of this lower part of the reserve was once a mill pool which helped supply Sarehole Mill with a constant source of water. The steps leading into the reserve from Pensby Close go up and over the large dam of the mill pool. In the 19th century the pool was drained and the area was left to ‘tumble-down’ to the woodland we see today. In 1980 Moseley Bog was declared a Site of Special Scientific Interest (SSSI), primarily in a bid to prevent the site from being developed following an application to build 22 detached houses on the site. The threat of development kick-started a campaign by local residents to ‘Save Our Bog’, a fight that lasted until 1986, when the city council bought a key section of the land to prevent the development, and so save the site for wildlife and the community. The two Bronze age burnt mounds which were designated as scheduled ancient monument in 2002 are an important feature of the site and we protect the site from erosion and lead regular public walks with Mike Hodder, City of Birmingham Archaeologist. The water which seeps from the springs in the north of the site has created wet, soggy ground on which a special ‘wet woodland’ habitat has developed. This woodland is the oldest woodland in the reserve and a number of ‘old woodland’ species such as wood horsetail and various sedges can be found here. In the drier areas other old woodland species such as bluebell, wood sorrel and yellow pimpernel are present. Straddling the Coldbath Brook are the reserve’s primary archaeological treasures: the burnt mounds. Dating from around 3,000 years ago, the mounds are made up of piles of cracked stones and fragments of ancient burnt trees. It is thought that Bronze-age man heated the stones on a fire and poured water over them to create steam for sauna-type bathing. This would have been done in a structure made from wooden poles and animal skins known as a 'bender'. Today the Coldbath Brook cuts through these Scheduled Ancient Monuments. The open area in the centre of Moseley Bog is not strictly speaking a bog, but in fact a type of habitat known as ‘fen’. This is an uncommon habitat which supports numerous specialised plants and animals. Unfortunately much of the fen which used to be found in the countryside of Birmingham & the Black Country has been lost under our modern towns and intensively farmed fields. To retain this precious habitat The Wildlife Trust and Moseley Bog volunteers regularly remove colonising trees which dry the soil and shade out the plants and animals. The pond started life as a small quarry and later became an ornamental garden pond. Today this is home to numerous amphibians including common newts, as well as many fresh-water invertebrates. Have a GREAT Bog Adventure!